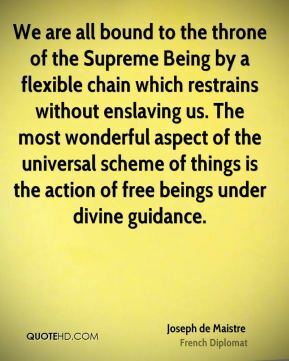 When we, through our educational culture, through the media, through the entertainment culture, give our children the impression that human beings cannot control their passions, we are telling them, in effect, that human beings cannot be trusted with freedom. 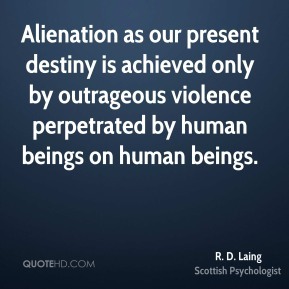 Alienation as our present destiny is achieved only by outrageous violence perpetrated by human beings on human beings. 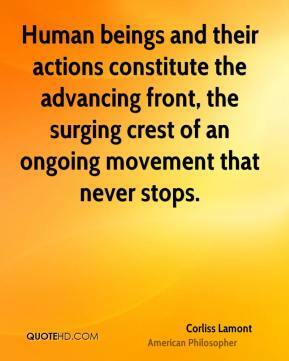 Human beings and their actions constitute the advancing front, the surging crest of an ongoing movement that never stops. 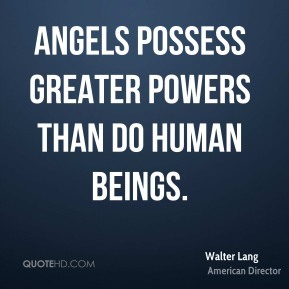 Angels possess greater powers than do human beings. Allow the diversity to exist. 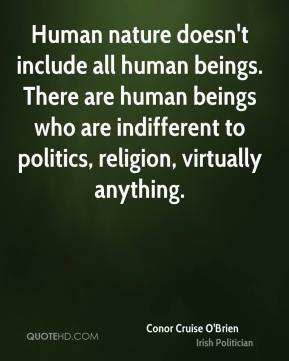 There is nothing wrong with it. 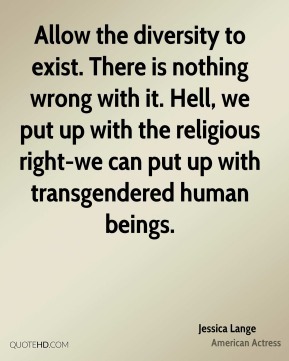 Hell, we put up with the religious right-we can put up with transgendered human beings. 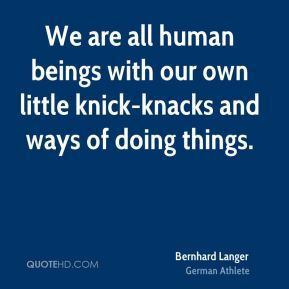 We are all human beings with our own little knick-knacks and ways of doing things. Steve Martin is one of the most intelligent, well-read human beings that I've ever come across. He is equally as funny off screen as he is on. But he also has a very intellectual side, and he's a really nice human being. We actually become good friends. 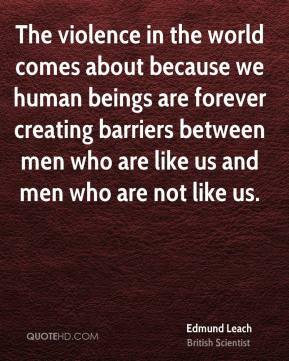 The violence in the world comes about because we human beings are forever creating barriers between men who are like us and men who are not like us. 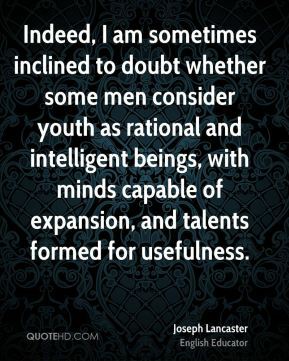 Success for me its to raise happy, healthy human beings. These things don't just come, arrive and settle like a bird picking up a few bits of crumbs. They develop. I think the best word for these things is develop. 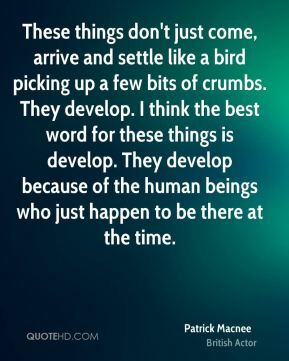 They develop because of the human beings who just happen to be there at the time. 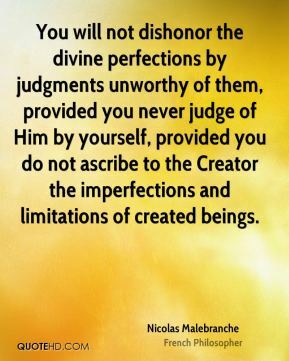 You will not dishonor the divine perfections by judgments unworthy of them, provided you never judge of Him by yourself, provided you do not ascribe to the Creator the imperfections and limitations of created beings. 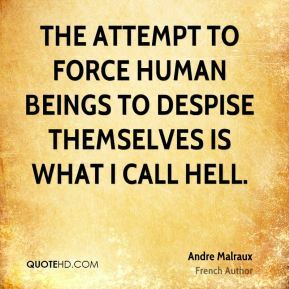 The attempt to force human beings to despise themselves is what I call hell. When I was born in 1942, World War II was still going. 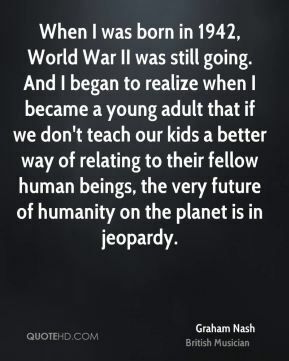 And I began to realize when I became a young adult that if we don't teach our kids a better way of relating to their fellow human beings, the very future of humanity on the planet is in jeopardy. 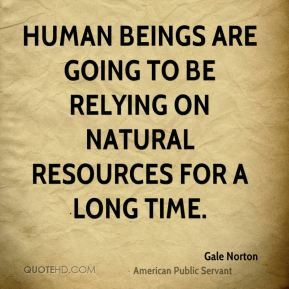 Human beings are going to be relying on natural resources for a long time. 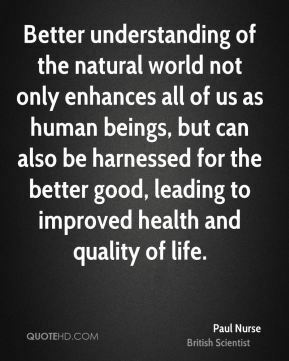 Better understanding of the natural world not only enhances all of us as human beings, but can also be harnessed for the better good, leading to improved health and quality of life. America and Islam are not exclusive and need not be in competition. 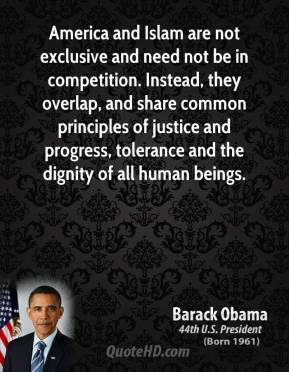 Instead, they overlap, and share common principles of justice and progress, tolerance and the dignity of all human beings. 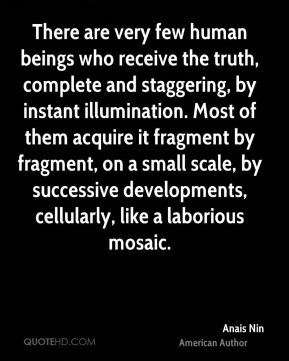 We have fallen into this very mean description of humanity. 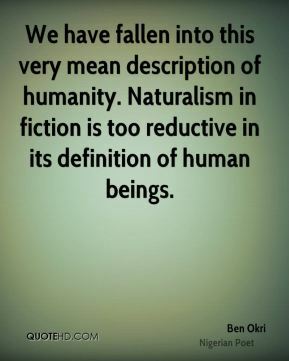 Naturalism in fiction is too reductive in its definition of human beings. 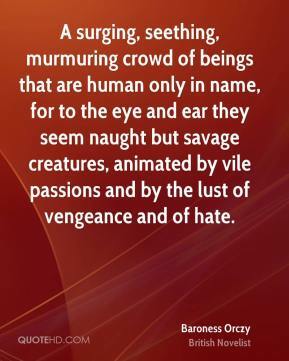 A surging, seething, murmuring crowd of beings that are human only in name, for to the eye and ear they seem naught but savage creatures, animated by vile passions and by the lust of vengeance and of hate. 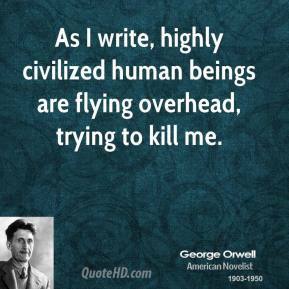 As I write, highly civilized human beings are flying overhead, trying to kill me. 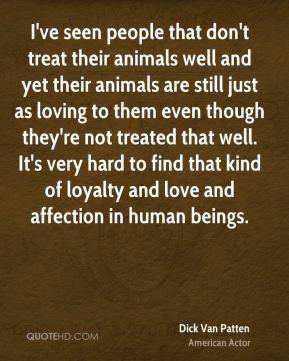 I've seen people that don't treat their animals well and yet their animals are still just as loving to them even though they're not treated that well. 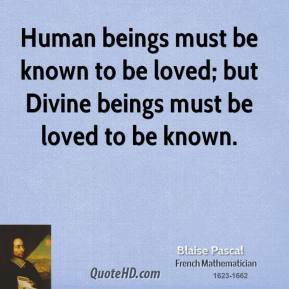 It's very hard to find that kind of loyalty and love and affection in human beings.